Forested areas in urban environments make cities more resilient to extreme weather events, as well as acting as carbon sinks. 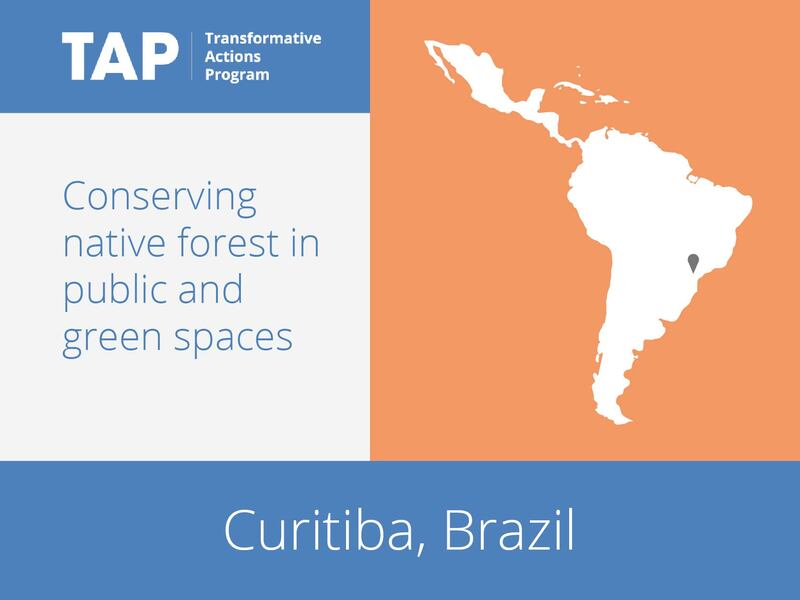 In 2008, the Condominium Biodiversity Program (ConBio) emerged as a nonprofit project formed by citizens interested in conserving biodiversity on private lands in Curitiba and the metropolitan region. With help from the Wildlife Research Society and Enviromental Education (SPVS), ConBio encourages people to plant native trees in urban and peri-urban environments. Following its initial success, the project is now being expanded to three further municipalities in the metropolitan region. As well as creating hotspots of biodiversity, ConBio seeks to foster public policy, scientific research and education around conservation and sustainability.